The goal of the Park District’s swim program is to create a life-long interest in aquatics activities, promote a healthy lifestyle, and improve a child’s safety in the water. Lessons follow the American Red Cross Learn-to-Swim guidelines. Taught by instructors who are certified lifeguards, our lessons feature progressive swimming instruction and practice of water safety skills. Upon successful completion of each level, swimmers will receive an American Red Cross certificate. Before Class – Review the general descriptions. Choose the first class that lists a skill that your child has not yet mastered. First Day of Class – Children’s skills will be assessed on the first day of class to ensure that they are placed in the proper level. Adjustments will be made if necessary. Swimming requires motor coordination and practice to become proficient. Keep in Mind – It is not uncommon to spend more than one session in a particular level. This is especially true with levels 2, 3 and 4. Therefore, do not expect your child to automatically advance to the next level at the end of a session. Questions? If you are unsure about your child’s abilities or have questions about the different courses or swim class policies, contact Robert Wood, Aquatic Supervisor at (847) 996-3488. Children will develop comfort in and around water, without a parent in the water, in preparation for learning how to swim. A variety of games, songs, and activities are used to teach water safety skills. This program is not designed to teach children to be accomplished swimmers or to survive in water alone. Our Learn to Swim program consists of 5 levels of progression in swimming techniques and water safety. Each level introduces a challenging variety of activities for the student. If your child has never had lessons, begin in Level 1. 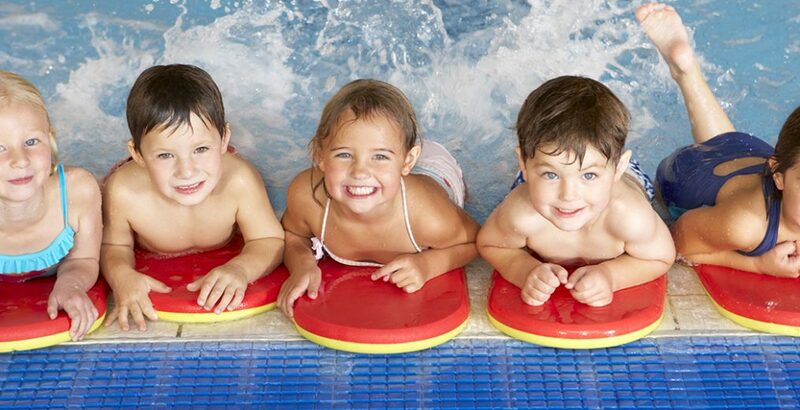 All swim lessons are held at Lakeview Fitness. The District offers adult swim lessons for the beginner/intermediate swimmer in a group setting. Also, private (30 minute) and semi-private (45 minute) lessons are also available and are scheduled at your convenience. The Park District is not responsible for changes to your schedule. Transfers to another class may be permitted with administrative approval, if space is available. If you miss a scheduled or a make-up class, you will not receive a refund and cannot make the class up at another time.